​The ​Bills just shook up their wide receiving unit in a very surprising move. 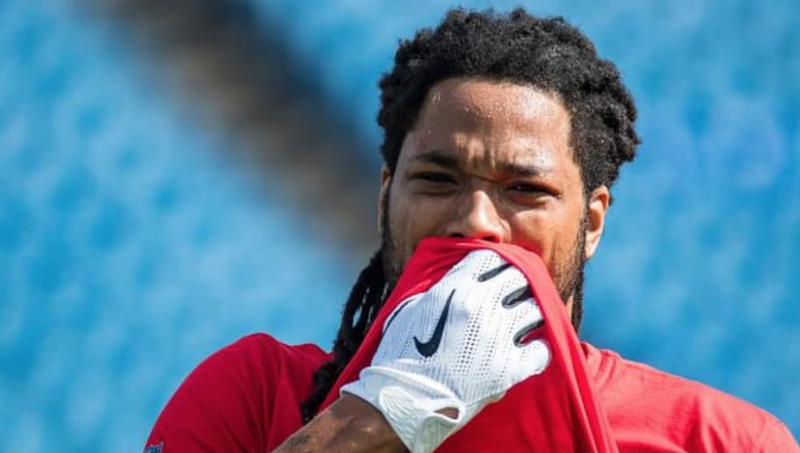 The team has decided to part ways with veteran wide receivers Andre Holmes and ​Kelvin Benjamin ahead of their Week 14 matchup with the New York ​Jets. Benjamin will be looking for a new team and could possibly be scooped up off waivers. The Bills acquired Benjamin from the Panthers midway through the 2017 season in exchange for a third and seventh-round pick. The former first-rounder did not live up to expectations and as a result finds himself out of Buffalo. After releasing the two WRs, the Bills promoted cornerback Denzel Rice and defensive end Mike Love from their practice squad. Benjamin struggled to impact Buffalo's offense this season, recording 23 receptions for 354 yards and one touchdown. He had just one game of more than 50 receiving yards this season. The Florida State product has shown signs of character issues in the past, most notably getting into an ​altercation with former teammate Cam Newton. Will a team give him another chance? Who knows what will happen with the veteran pass-catcher.